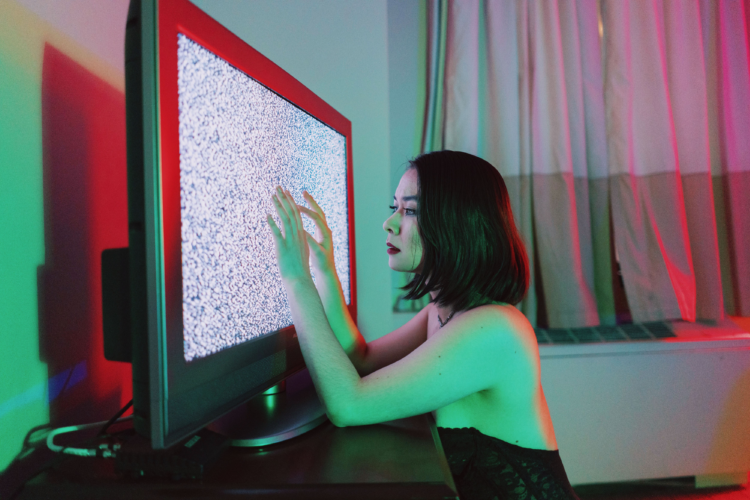 Mitski, March 29 at Mr. Small’s, Millvale. Photo by Bao Ngo. Feb. 1, Delicious Pastries, Seedy Players, Rave Ami: Howler’s, Bloomfield. No band lasts forever (except The Rolling Stones), no matter how amazing. So it’s time for Pittsburgh psychedelic pop band Delicious Pastries to take its final bow. Their grand finale show is supported by Seedy Players and Rave Ami, helping send them off in style into the Great Beyond, where all beloved bands go when they’ve played their final chord. Havana Cuba All-Stars, Byham Theater, Feb. 5. 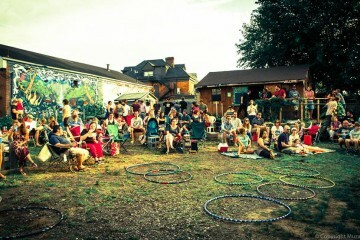 Photo courtesy of Columbia Artists. Feb. 5, The Havana Cuba All-Stars: Byham Theater, Downtown. A heavily-spiced sampler platter of Cuban musical styles, from cha cha to the rumba, from Son Cubano style to the salsa, plus live dancers. The Byham isn’t exactly made for dancing in the aisles, but it will be tested nonetheless. Feb. 7, Lucrecia Dalt, Jessie Stiles, Margaret Cox: 3577 Studios, Polish Hill. While a lot of experimental electronic music revels in noise and rhythmic chaos, Columbia-via-Berlin Lucrecia Dalt works with a slow-burning, quiet intensity — with hushed vocals enveloped by intricate, subtly hypnotic rhythms. Feb. 7, Greensky Bluegrass: Stage AE, North Side. Feb. 8, John Maus: Spirit, Lawrenceville. John Maus has some ideas about searching for truth in music, and he’s going to chase them down, wherever they may lead. The former philosophy professor has transformed himself into one of underground pop’s most enigmatic and intense performers, constructing an elaborate nostalgia-industrial complex saturated with memory, that envelops both ‘80s synth-pop, and modal scales that date back to Medieval and Renaissance music. Jeff Goldblum, Feb. 14, Carnegie Music Hall of Homestead. Feb. 16, Spednar, Cutups, Morgantics, Alex Is: Hot Mass, Strip District. Hot Mass is putting Pittsburgh’s dance music scene on the map not just nationally but internationally. 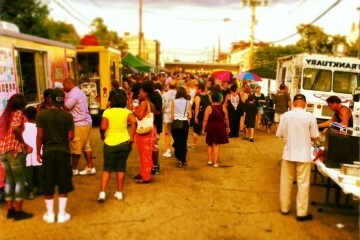 But this month’s feature is “Locals Only,” presented by the Pittsburgh-based house/techno label DETOUR. This particular Hot Mass features live sets from Alex Is and Morgantics and DJ sets from Spednar and Cutups. This will also be Alex Is’ album release party. Feb. 14, Jeff Goldblum & The Mildred Snitzer Orchestra: Carnegie Music Hall of Homestead, Homestead. You had no idea you wanted this, but here it is — pop culture god Jeff Goldblum’s jazz band, live in his hometown. Apparently, he does a pretty straightforward, non-ironic homage to the great jazz big bands. He’s a pianist, mostly, and surprisingly good at that. Though his recent album is full of vocal guests, the only song he sings on is a goofy duet with Sarah Silverman. So it’s anyone’s guess how that works out live, but it’s well worth finding out. Expect loads of witty, charming Jeff Goldblummy stage banter as well. Feb. 17, Gang of Four: Mr. Small’s, Millvale. One of the most influential bands ever, first-wave punks Gang of Four made punk rock danceable by incorporating jagged funk rhythms and a lyrical intensity bordering on interrogation. They’re still thriving, and well aware that they still do this better than their legions of imitators. Gregory Porter at the August Wilson Center, Downtown, Feb. 17. Photo courtesy of AWCC. 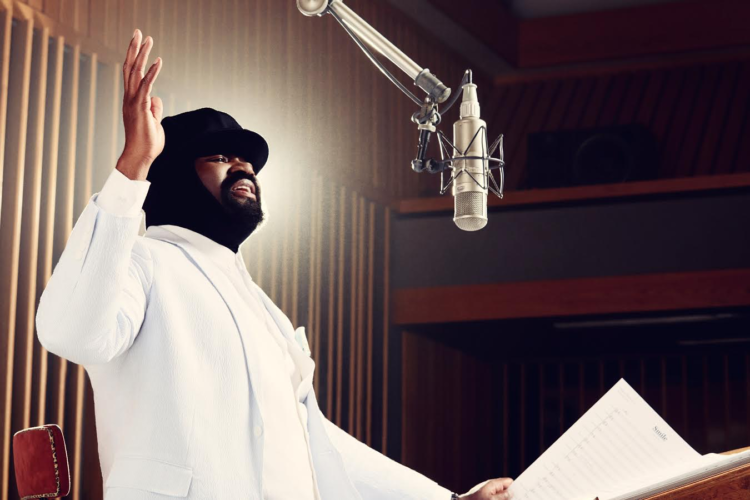 The rich, velvety voice of Gregory Porter sips smoothly, like, well — a perfect, malty glass of porter. The jazz singer wraps his vocal cords around standards and originals with a quiet intensity that seems to float above any particular time or place or style. Punk rockers don’t tend to age gracefully, but here’s a rare exception. Bob Mould (whose first band, Husker Du, still looms large over every Midwestern punk and indie band since the mid-’80s) has actually mellowed out nicely — at least, sonically speaking. His other band, Sugar, found the perfect balance between noise and pop, and his solo stuff is all over the map. Lately, he’s been performing songs from his new record, the incongruously-titled “Sunshine Rock,” in a solo-electric format. Pittsburgh’s own Murder for Girls opens the night. Mary Lou Williams is simply one of greatest jazz composers and pianists of all time. She taught herself to play at age three, and was supporting her 10 brothers and sisters by age six, known throughout her hometown of Pittsburgh as “The Little Piano Girl.” She would go on to record more than 100 albums, compose and arrange for Benny Goodman and Duke Ellington, and mentor Dizzy Gillespie and Thelonious Monk. Pittsburgh drummer Roger Humphries’ tribute to Mary Lou Williams is part of his yearlong community artist-in-residence at the Kelly Strayhorn Theater. Feb. 23, Kim Phuc, Microwaves, Limousine Beach, Autoreplicant: Mr. Small’s, Millvale. Welding the short, sharp shocks of Wire to the extended, end-of-the-world blues of The Stooges, Kim Phuc takes the useful bits from several generations of punk rock and leaves the rest. Fellow Pittsburghers Microwaves have also been blasting eardrums into oblivion for at least a decade, gradually growing into pillars of the Pittsburgh post-punk underground. Here’s your chance to see them together. 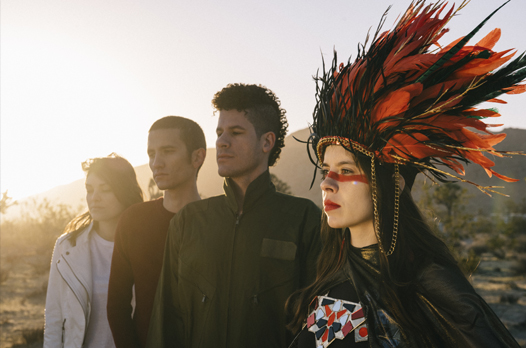 Le Butcherettes, Feb. 24 at the Rex Theater. Photo by Lindsey Byrnes. Feb. 24, Le Butcherettes: Rex Theater, South Side. Teri Gender Bender of the Guadalajara-based band Le Butcherettes is one of the best frontwomen in punk rock with a voice that can coo and snarl and roar seemingly in the same breath — while threatening to jump out of her own skin onstage. Ethnic Heritage Ensemble. First Unitarian Church, Shadyside. Photo by Art Sato. Feb. 25, Ethnic Heritage Ensemble: First Unitarian Church, Shadyside. 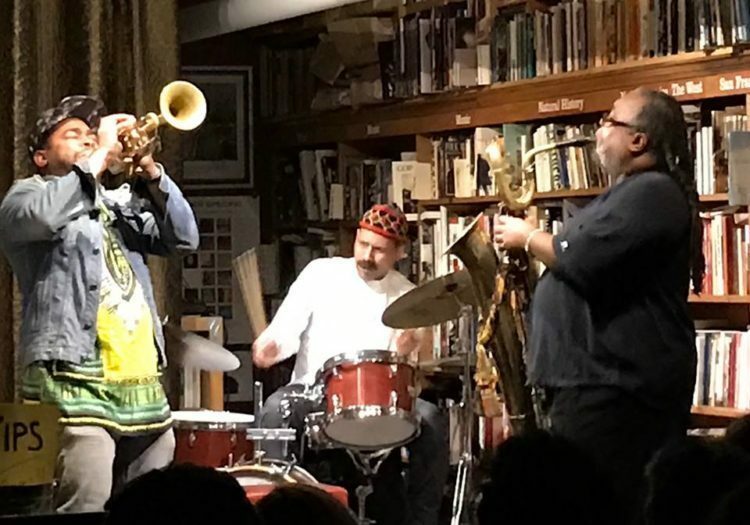 A living link to the days when giants walked the earth, percussionist Kahil El’Zabar’s band Ethnic Heritage Ensemble makes modern jazz that is deeply connected to its ancestral African roots. Now in its 46th year, the band tours every February for Black History Month.